You are an important part of the health-care team. 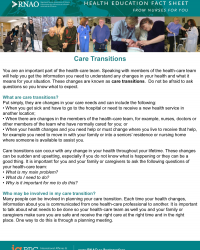 Speaking with members of the health-care team will help you get the information you need to understand any changes in your health and what it means for your situation. 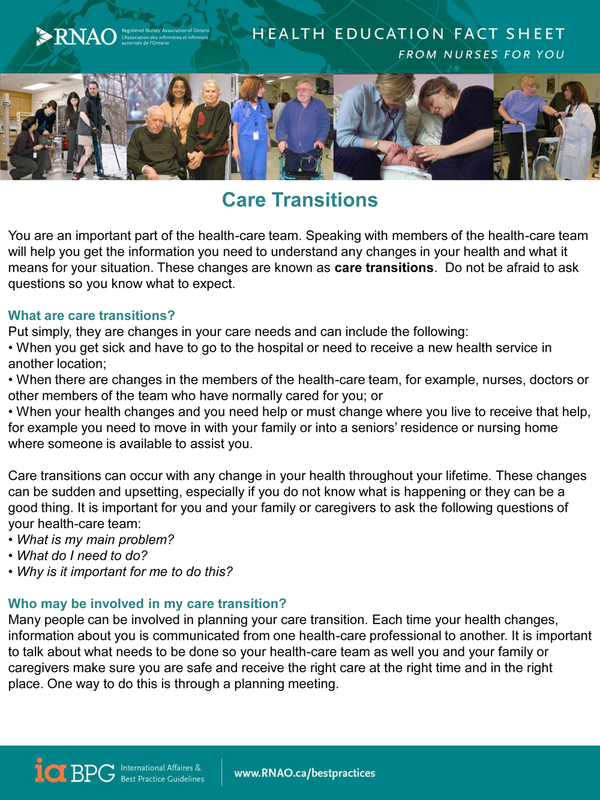 These changes are known as care transitions. Do not be afraid to ask questions so you know what to expect.